My name is Mike and I’m one of the founders of Scanner Answers. My buddies Matt, Vince and I have known each other for years and have all had our fair share of dealing with car repairs. One night over a round of drinks, we were talking about how far automotive technology has come… From adjusting and swearing at Holley 4-Barrel Carbs to figuring out how a Tesla electric car is quicker than most Italian Sports cars… We realized that computers are one of the main components of our cars, and OBD2 scanners are the one tool that are almost as important as our 1/2in Torque Drivers. What we found was that there are a ton of OBD2 scan tools out there, and deciding on the best one to buy can be a difficult task! What we planned to do was create Scanner Answers and hand-pick the best scanners that we could find. We provide details reviews for all the major brands like Actron, Autel, Innova… Because these code readers often have too many bells and whistles, we include a lot of the $20 scanners that are simple to hook up to your Android or Apple or even Windows phone and troubleshoot your car. How cool is that!? You can connect your phone to your car, and view CEL (Check Engine Lights) and fix your vehicle yourself. Take a break from the NFL score and go be productive today! What you’ll find on our site is a lot of reviews of the highest quality scanners on the market. We’ve done our best to include pros and cons and the best features of every scanner. On top of all that, we also blog about common car problems that we’ve found over the years, as well as some other handy DIY tips. You may have heard about this protocol and know it means something about On-Board Diagnostics, but why should you care about it? OBD 2 scan tools are one of the most essential tools that you can have to start diagnosing and repairing your car. Got a faulty Catalytic Converter? Got a misfire on cylinder 3? Got a faulty TPS? An OBD scanner will help you find exactly where the problem is and get you started on fixing it. You may also ask why should you purchase one when you can run to the auto parts stores like AutoZone, NAPA and CarQuest and have run a diagnostic and clear the CEL. This is okay for some individuals, but most of us are hard-working guys who don’t have time to take the car to the shop. We prefer to walk out into our garage, and fix our own trucks and cars. Take a look around and try to find an OBD-II tool that fits your needs. If you have any questions, please Contact us or leave a comment on any of the posts. We love talking about cars and auto repair! Hey there, My name is Mike and I fix cars. 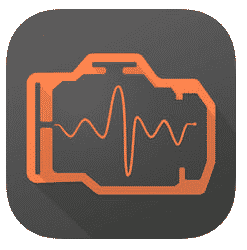 My buddies and I created this site to help you find the best OBD2 scanner to help fix your cars!